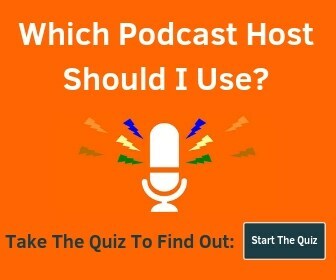 Looking for a gift guide for podcast lovers? Did you know your voice sounds better when you’re standing? The FlexiSpot sit-stand desk is electric height adjustable with 3 programmable height settings – making this the perfect gift for podcasters. 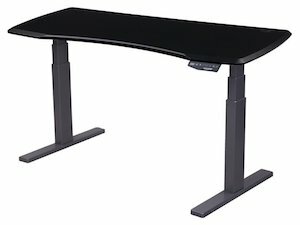 Don’t want to get a whole new desk? 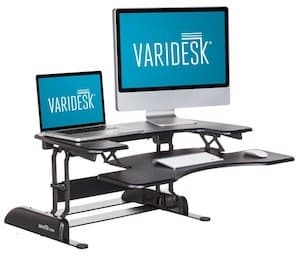 The VARIDESK Pro Plus turns your existing desk into a standing desk. The Rode Podcaster Booming Kit is the perfect gift for someone looking to get started podcasting. 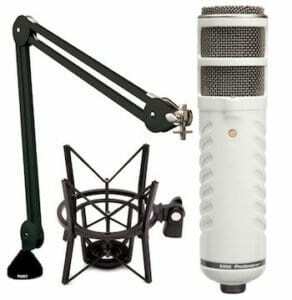 It comes with the 3 things shown: Rode Podcaster USB Microphone, Rode PSA-1 Boom Arm, and Rode PSM-1 Shock Mount. Headphones are crucial to make sure you’re getting a great recording. 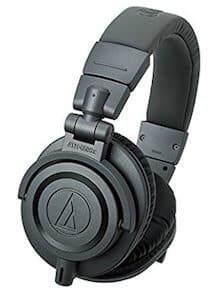 The ATH-M50x from Audio-Technica is universally recognized as one of the best pair of headphones for recording. 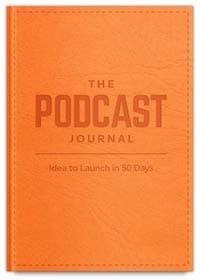 The Podcast Journal is John Lee Dumas’s latest workbook. 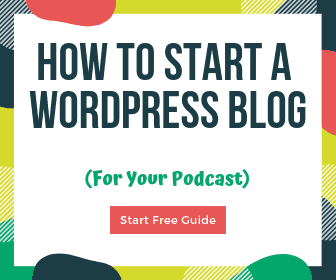 It will guide you through creating and launching a podcast in 50 days. This is the perfect gift for those aspiring podcasters in your life! 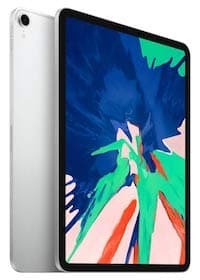 The new 2018 11″ iPad Pro is the perfect size to use for podcast interview notes, look up resources on the fly, and even use to record on the go. The Pro model added some awesome features for the Apple Pencil and Smart Keyboard too. Socks you say? Well ya. Don’t give lame socks for the holidays – give SmartWool socks. Check out the different options for women & men. Feel free to explore all their stuff, they have a bunch. Thanks to She Podcasts for the recommendation! Do they already have a microphone, but it’s sitting on their desk? 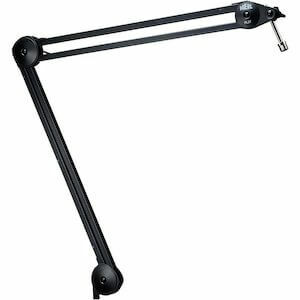 Get them the Heil PL-2T Boom Arm. This will make it much easier to get the mic in the right position and makes it much more fun to record! The Shure SM7B Microphone is a broadcaster’s favorite. If you want to get the best, this is it. 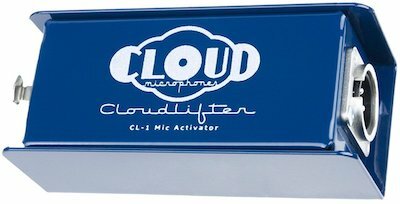 The Cloudlifter CL-1 is a must-have addition to use any dynamic microphone. It adds gain (additional volume) which makes the sound quality so much better. Highly recommended. You’ll use the Focusrite Scarlett 2i2 USB Audio Interface to connect an XLR microphone (like the Shure SM7B above). It hasn’t excellent sound quality and will take podcast (and even instrument) recordings to the next level. 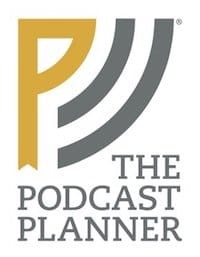 The Podcast Planner is the perfect companion to help that podcaster in your life stay organized. It includes episode recording templates, episode checklists, note-taking pages, a podcast launch checklist, and a ton more. Adobe Audition is the best recording and editing software for podcasting. If you get it from Amazon they send you a serial number that you can share as a gift. Give your podcaster a way to tell people they are recording so you won’t disturb them with this On Air Door Hanger. You can use the Zoom H4N Pro either on the road or at home. 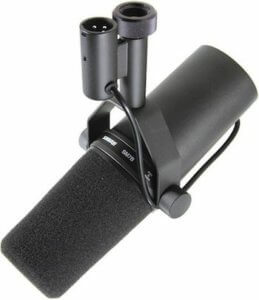 This little guy is so versatile that it would be a great gift for a podcaster of any level. Some people like to do video podcasts or create video as a way to help promote. 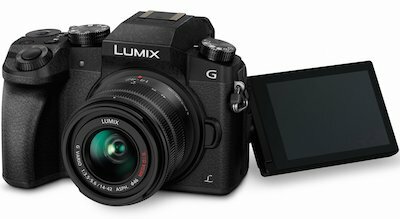 The Panasonic Lumix G85 is an excellent mirrorless 4K camera that offers a ton for its price point. The touchscreen articulates and rotates, it has Wi-Fi, and takes great video and stills.